Causa Imperial has just announced the engagement between Princess Alix de Ligne and Count Guillaume de Dampierre. I think I've asked you this before but can't remember the answer, would this marriage to a member of the French high nobility be considered an equal marriage according to the rules of the Imperial house and if so what's the difference between this and other marriages made by people in the Imperial Line of succession to members of the Brazilian nobility that has resulted in loss of inheritance rights? I'm not able to open Facebook. Can anyone put the links of Alix and Guillaume images? What is the work of Guillaume de Dampierre? what are you doing? What study? I'm pretty sure Princess Alix will keep her rights. The difference between her and some of her uncles and aunt it that, although they married ladies and a gentleman from old and aristocratic Brazilian families, the native nobility here is not hereditary, and the Imperial Family always feared that by marrying commoners, they'd end up losing their "royalness", so people would stop seeing them as the Imperial Family and any of a restoration - however unlikely it may be - would be lost forever. Count Guillaume works for McKinsey & Company and Princess Alix for H.Stern, both in Rio de Janeiro, Brazil. Mods, maybe this conversation should be moved to another thread? Alix is not Royal Highness , only her mother kept her title she received by birth. She will be SA la Princesse Alix de Ligne , Comtesse Guillaume de Dampierre. Princess Alix is SA Prince Michel de Ligne and SAR la Princess Eleonore's daughter. She is not Prince Antonio and Princess Christine's daughter . She should had taken the same air-plane as their late Son, her cousin. The Imperial House of Brazil made the formal announcement on its Facebook page. Pró Monarquia - The Imperial House of Brazil is happy to announce the engagement between Princess Alix of Ligne and Count Guillaume of Dampierre. Princess Alix is the daughter of Michel, 14th Prince of Ligne, and D. Eleonora de Orleans e Bragança, Princess of Brazil, sister of H.I. & R.H. The Prince D. Luiz de Orleans e Bragança, Head of the Imperial House of Brazil. Her Highness is the ninth in the Line of Succession to the Brazilian Throne. Count Guillaume is the son of Count Audoin of Dampierre and his wife, Madame the Countess, née Roseline de Castejá, of the Counts of Castejá. He and his parents come from the French Aristocracy. In due time, we will bring more information. I didn't realize she was meant to be on the airplane with her cousin when it crashed. I cant even imagine the pain of losing one family member in the crash. I can only imagine if she died as well. Congratulations to Alix de Ligne for her engagement to Guillaume de Dampierre!!!! Madame Roselyne Claude Marie Thérèse ALVAR de BIAUDOS de CASTÉJA (1951). The main residence of the De Dampierre family is the Château de Plassac. See link: www.chateaudeplassac.com The Château de Plassac is in the Cognac region. Guillaume's father, Audouin comte de Dampierre produces his own brands in the Champagne region. The groom's grandmother Elyane de Gountaut-Biron herself is a granddaughter of Georges de Bourbon-Busset, Comte de Lignières. This man was the father of Marie-Madeleine de Bourbon-Busset (pic), was the grandfather of Prince Carlos Hugo de Bourbon de Parme, Duke of Parma (pic) and is the great-grandfather of the present Duke of Parma, Prince Carlos de Bourbon de Parme (pic). His castle, Château de Lignières (pic) is still owned by his grandson Prince Sixte-Henri de Bourbon de Parme (pic). 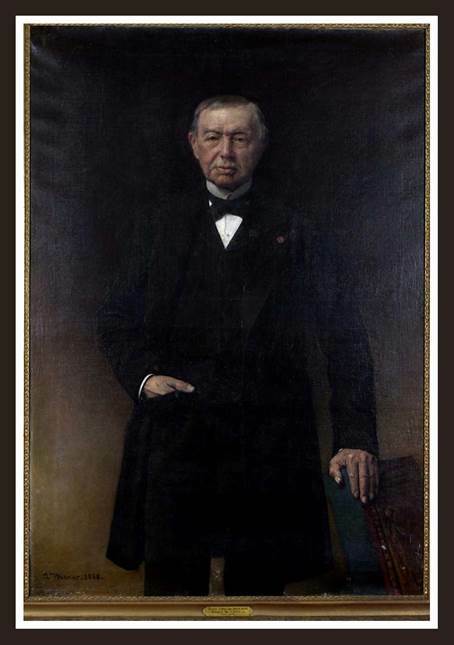 The groom's grandfather Jean-Emmanuel Alvar de Biaudos de Castéja comes from a cadet branch of the De Biaudos de Castéja dynasty which was created as result of an adoption: Messire Rémy Léon de Biaudos, Marquis de Castéja (1805-1899) (pic) married Hon. Elizabeth Hunloke (1810-1878), daughter of Sir Thomas Hunloke, Baronet and Lady Anne Scarisbrick. Their only child, a son, died as a baby. The Marquis and Marquise de Castéja decided to adopt a son of the Marquise's halfsister, Hon. Charlotte Hunloke, nicknamed Mercédès Alvarez, who was natural daughter of Lady Anne Scarisbrick from an affair with William Cavendish, the later 6th Duke of Devonshire. That boy, the Marchioness' natural nephew, was first named Emmanuel ALVAR. 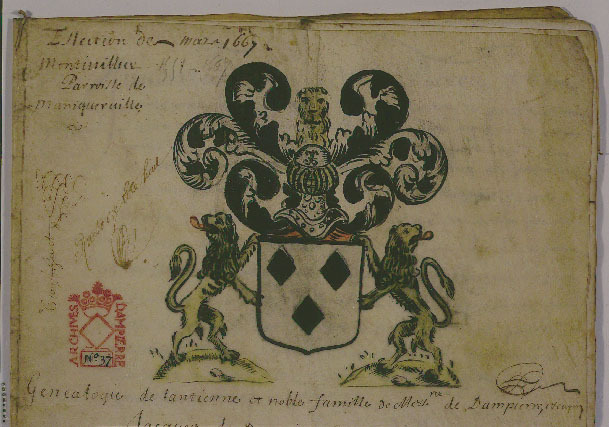 After adoption the boy (a Cavendish-Scarisbrick in fact) became registered as Marie-Emmanuel ALVAR DE BIAUDOS DE CASTÉJA. The adopted nephew however of course was not eligible to inherit his adoptive father's title Marquis de Castéja. The current Alvar de Biaudos de Castéjas are his descendants. They were both in Brazil, spending time with their family, and would travel to Paris together, but there was only one seat left on the plane, so Princess Alix took a later flight. A member of the family later told me the Princess was terribly shaken by what have happened (and what could have been). Does anyone know if Guillaume is related to the late Emmanuelle de Dampierre, first wife of the late Infante Jaime of Spain? Yes. They share a Dampierre in the 19th C. This one is the family from the Dampierres originating from Picardie, seeing the three black lozenges in a shield of silver. The main branch are Marquises de Dampierre. The Dampierres from Château de Plassac are cadets which are Comtes. Very distantly. Guillaume great-great-great grandfather and Emannuelle de Dampierre's (Jaime's wife) great-grandfather were brothers. From Emmanuelle de Dampierre to Guillaume de Dampierre in one line, logically Emmanuelle is two generations closer to the shared ancestor than Guillaume. The line of Guillaume to the shared ancestor also shows that every generation of his line has married into the aristocracy. His marriage to Princess Alix de Ligne is a continuation of that policy. His mother's family Alvar de Biaudos de Castéja on itself has no title but originates from the 6th Duke of Devonshire and Lady Scarisbrick and became adopted by Rémy Léon de Biaudos, Marquis de Castéja (1805-1899). See post #11 in this thread. I am waiting the engagement pictures. I hope the Dowager Alix is still in good health, she did not attend her Brother's 95th Birthday. Congratulations to the couple! I'm looking forward into their engagement photos (if we will get any). How lovely that they became engaged not long before Valentine's Day. I'm pretty sure the wedding will take place at the Church of St. Pierre de Beloeil, so there's a good chance of the Dowager Princess attending the wedding of her granddaughter, who's also her namesake. I wonder if it'll be a summer wedding or if they'll wait until next year, in order to have a spring wedding.